Party Time Fun Coloring - festive party foods, birthday party decorations and holiday party celebration pictures to color. 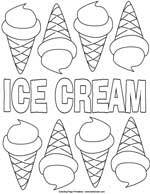 Choose from a melting ice cream cone, picnic treats, pizza pie in slices and jumbo lollipop suckers, all the birthday numbers from 1 to 10 pictures to color for picnic, birthday party and family BBQ fun. 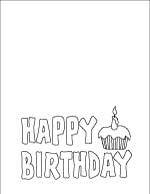 Make fun birthday pictures with one or more of these fun birthday party number sheets to color! Each number is wearing a party hat with the same number of decorations - stars, balloons, squares, squiggles, circles!